We were a diverse bunch, representing eight nationalities — four women (England, Holland, India, and Pakistan) and five men (Canada, Colombia, Switzerland, and the United States). 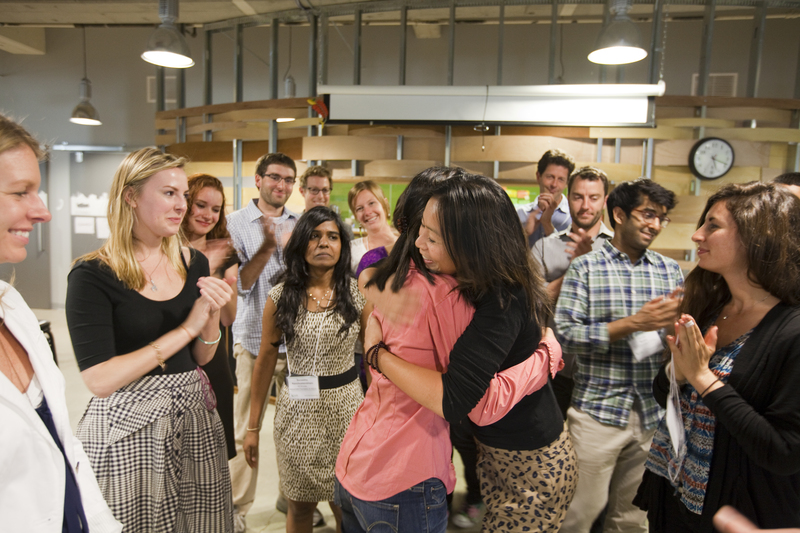 The only thing we had in common was that we’d been accepted into the 18th class of Kiva Fellows. 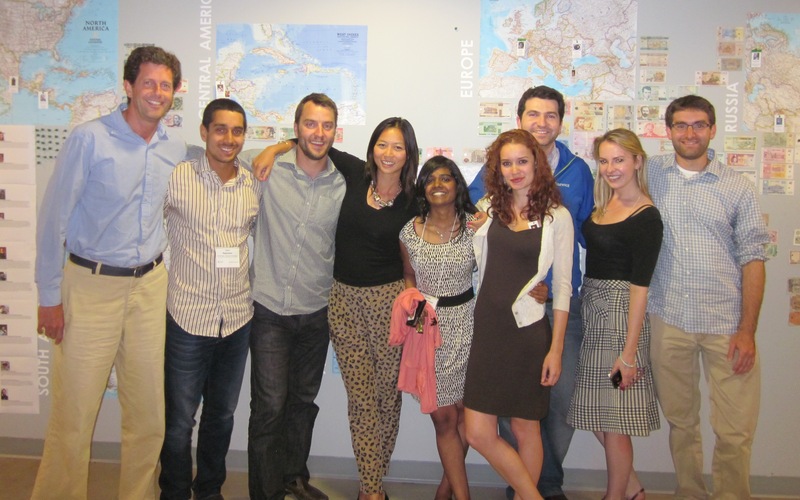 And that meant we needed to spend a week training at Kiva’s headquarters in San Francisco in early June. In past years, the Fellows who came to this training made separate housing arrangements, but this year, a new tradition was born. Nine of us decided to band together and rent an apartment. We arrived at the apartment the night before training started, and we soon realized that renting the place was a great idea — kudos to the enterprising Canadian who made it all happen. The apartment was in a somewhat sketchy neighborhood (advertised as “Lower Nob Hill” but more like “Upper Tenderloin”), but it worked great for us. 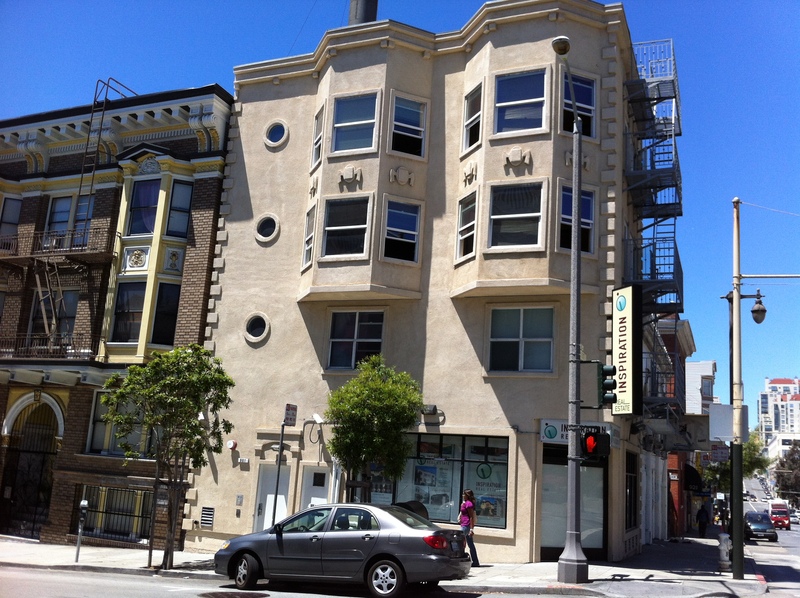 901 Post Street #2, the home of Real World – Kiva. 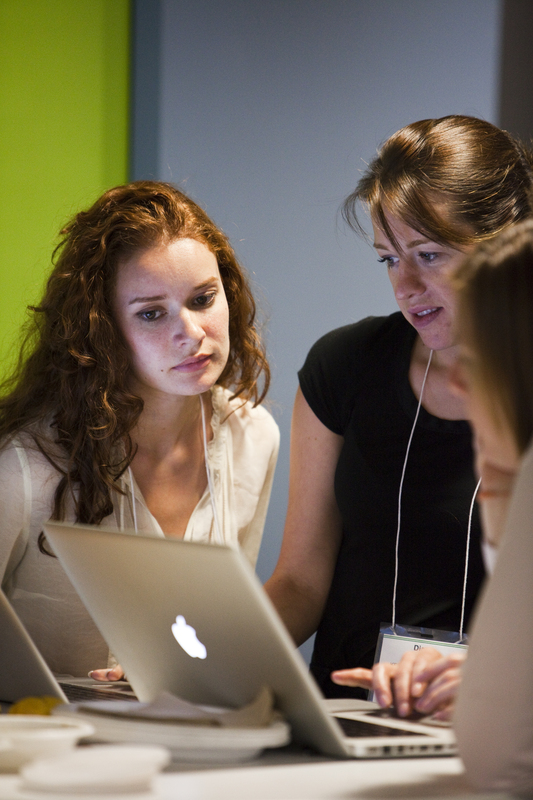 Before coming to San Francisco, I think we’d all wondered what we were getting ourselves into with the Kiva Fellowship. Each of us was headed to a different country where we’d be working directly with one of Kiva’s micro-finance partners, and our assignments would last up to four months. We’d done plenty of research, but we still had more questions than answers. As we sat around the kitchen table that first night, it was good to know we were all in the same boat. “You have to go wherever they want? “But they pay your expenses, right? That first night, we also speculated about what training would be like. Little did we know what we were in for. The next day we headed over to Kiva headquarters where we met the rest of the 18th class of Kiva Fellows. We found that the atmosphere at Kiva headquarters is pretty relaxed thanks to the presence of several dogs that come to work each day. But don’t let the dogs fool you. 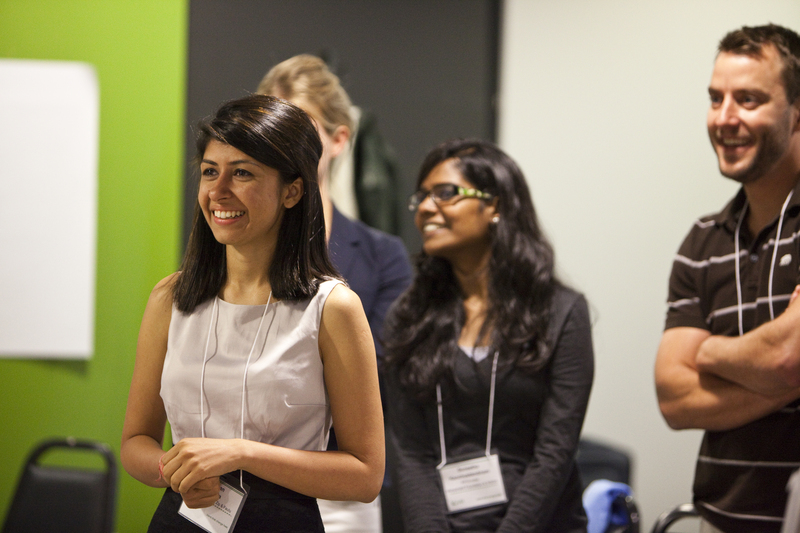 Kiva takes the week-long training for Fellows very seriously. Fellows act as Kiva’s eyes and ears in the field, working directly with local micro-finance institutions, so we had to learn about all their policies and procedures. We tried to master with the internal computer system that allows Kiva to track loan disbursals and repayments from around the world. We brainstormed about how to explain Kiva to borrowers in remote villages who have no concept of the Internet. We heard from Kiva’s founders about new strategic initiatives for the company. 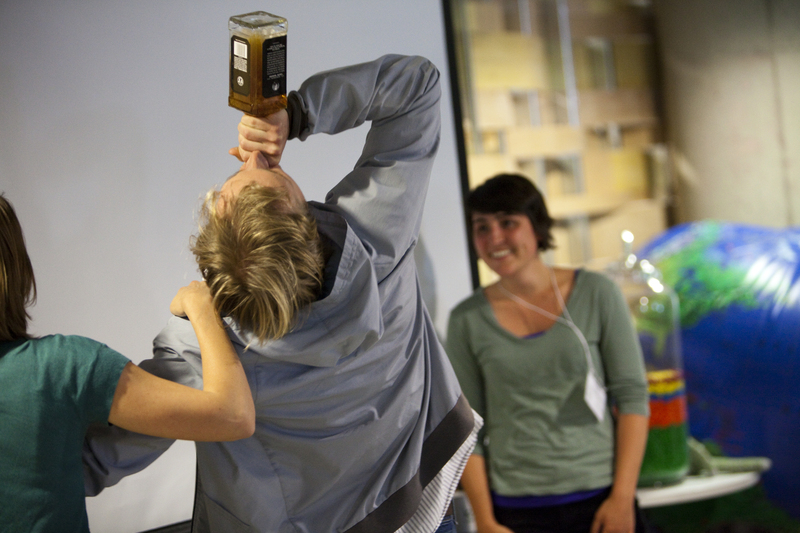 But all along, the training team at Kiva managed to keep things interesting. 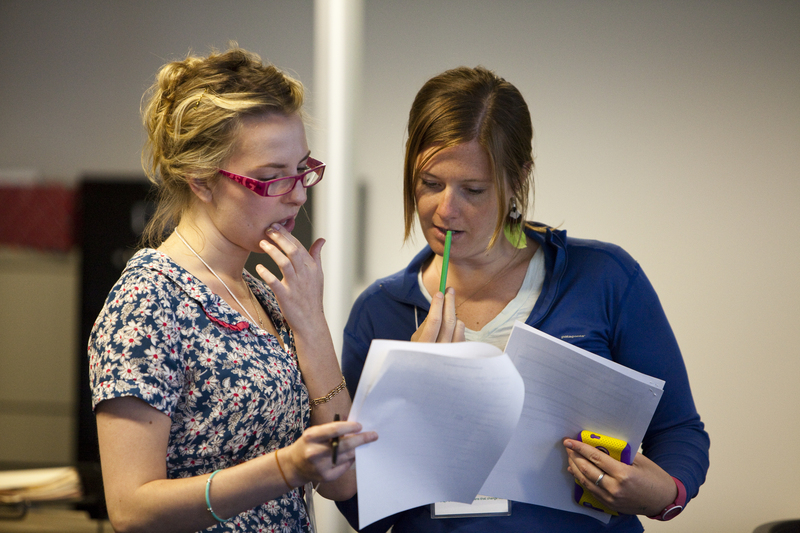 There were some unusual role-plays to prepare us for situations we might encounter in the field. And there was a hotly contested game of Kiva Jeopardy to test our knowledge. So after all this training at Kiva Headquarters, you’d think we would be sick of spending time together, but we actually looked forward to hanging out at the apartment. We had a lot of laughs and very little sleep. There were also some challenges, such as nine people trying to get ready in the morning with only two showers. One efficient Fellow came up with the strategy to shower, get fully dressed, and then climb back into bed for some extra sleep. We had one “free” night during training. 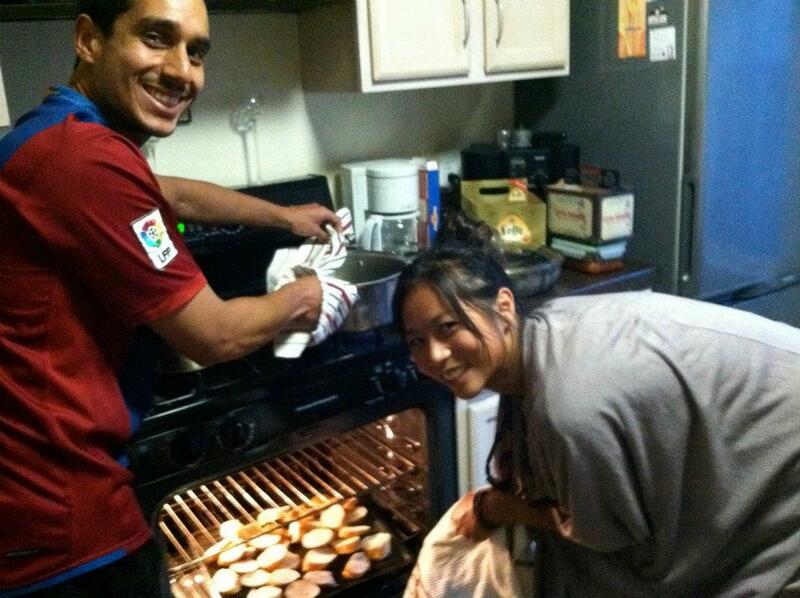 Instead of all heading our separate ways, we pulled together a dinner at the apartment. 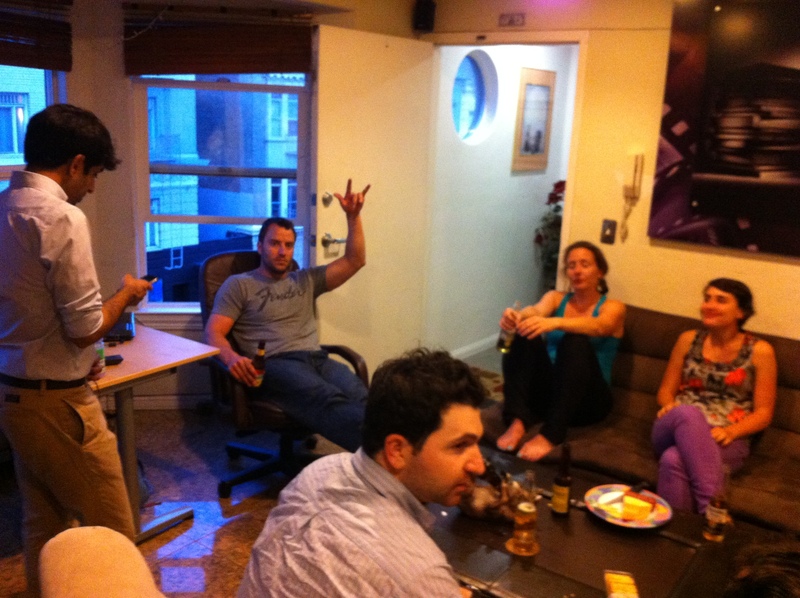 Many of our fellow Fellows managed to attend as well, so everyone got a taste of the Post Street experience. But before we knew it, the week of training was over. We had learned more than we could ever remember. Good thing they gave us binders to take with us. We celebrated our “graduation” by pinning our picture on the Kiva world map to show where we were headed. 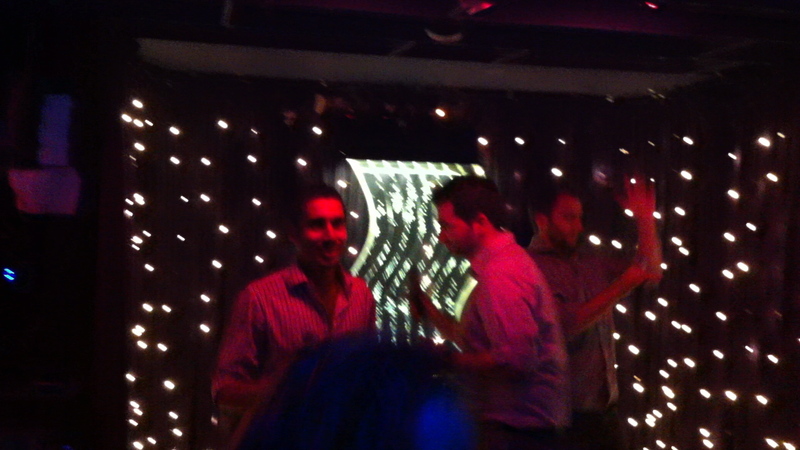 Then we wrapped up the week with a 7-hour karaoke marathon at a local bar. That’s right. Seven hours of karaoke. Don’t ask. By the end of the night, some us were still looking sharp. Others not so much. And now we’re all on our way to our respective assignments around the world. We know we’re in for some amazing experiences, but it’s going to be tough to top that week in San Francisco. I think we learned that the qualities that make a good Kiva Fellow — patience, flexibility, motivation, humor, and altruism — also make for good qualities in housemates. 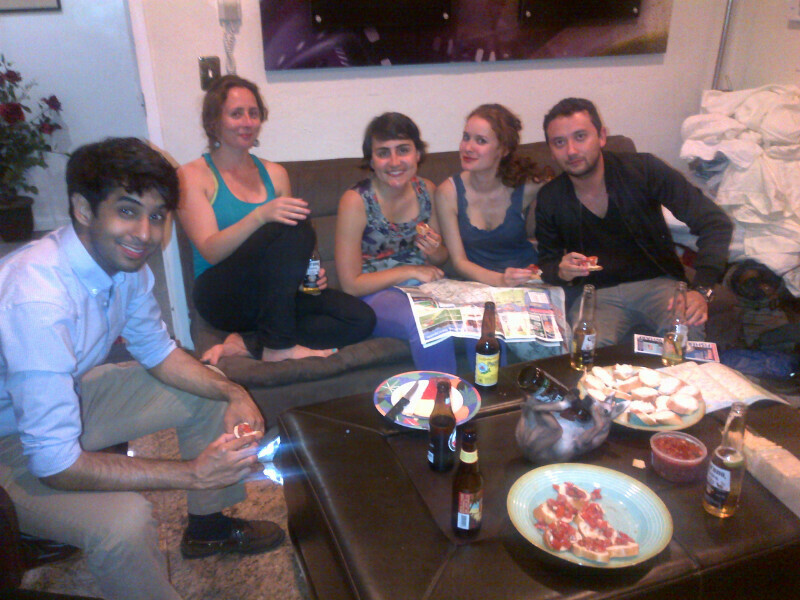 And the connection among the 18th class of Kiva Fellows extended well beyond the nine of us who stayed at the apartment. In any case, it’s safe to say we all left San Francisco feeling very inspired. 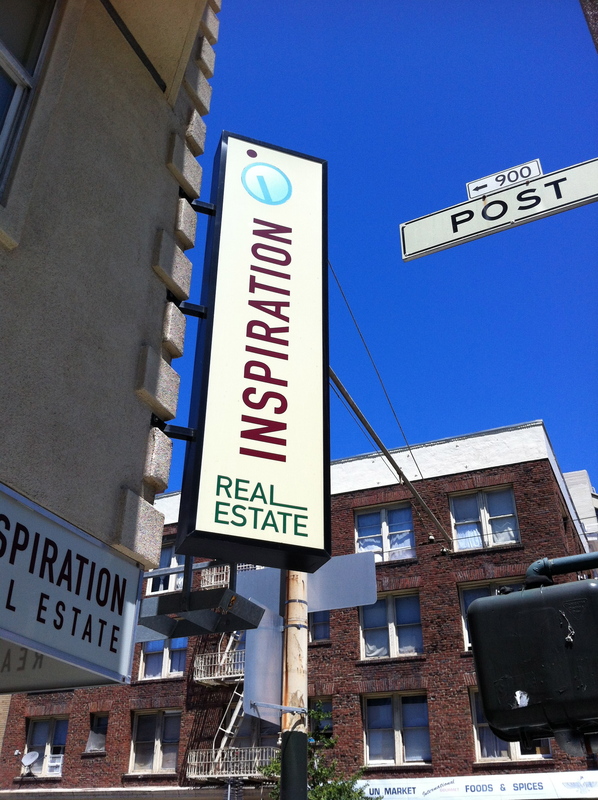 Wait a minute, “inspired.” Where have I seen that before? Check out the name of the real estate company underneath our apartment. Looks like we found the right apartment for the Kiva Fellowship. 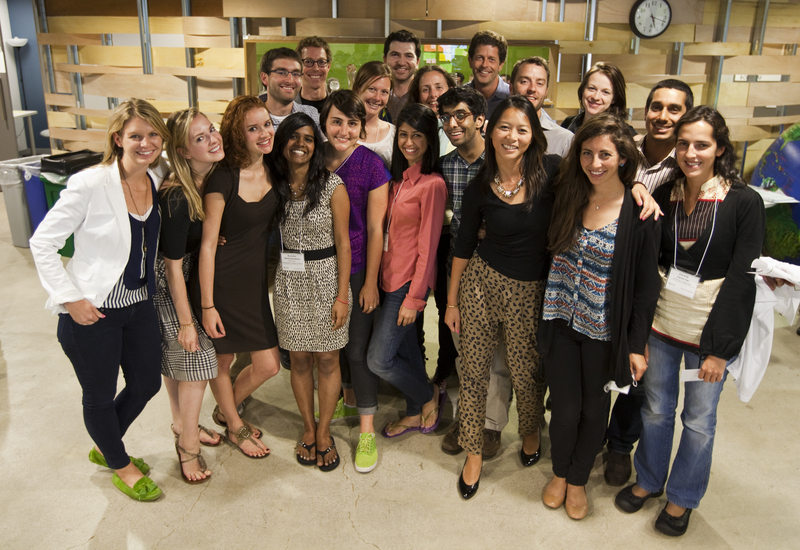 Stay tuned for the next season of “The Real World – Kiva,” starring the 19th class of Fellows. Ward Lassoe is Kiva Fellow and one of the Post Street 9. He is working in Armenia this summer with two Kiva partners, Nor Horizon and SEF International. 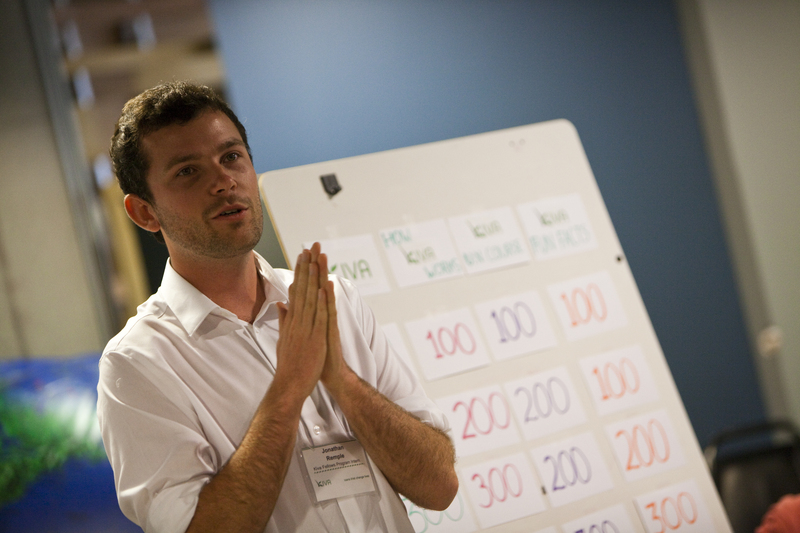 Find out how you can become a Kiva Fellow (and possibly star in an upcoming episode of “Real World – Kiva”). Entry filed under: KF18 (Kiva Fellows 18th Class), Kiva Team. Tags: Kiva Fellows, kiva training, kiva.org. we can be glad we aren’t there right now, with wildfires ablazing. in to see how you are doing. Loving it. Fantastic way to kick it off. Patrick clearly still had some moves left after the karaoke marathon. I did not. This is the coolest project! I wish you much happiness!! Thank you Mr. Lassoe for a very “inspiring” post. Thank you also for acceting to come to Armenia and financing your own volunteer assignment. It is generous spirits such as yours that make this world a better place. I hope you will have a great and fulfilling time in Armenia. Please take this as an invitation to come and visit us in Yeghegnadzor where SEF operates. If you are interested, I would be happy to make arrangements for you to get invited to run a seminar at Gitelik University there, promoting Kiva to our local audiences. and of course, count on our hospitality. I can be reached at 077-024837 and 0281-24837 starting Sept 12. Great post! Excited to see KF18 is such a tight class. You guys are going to have a blast in the field. 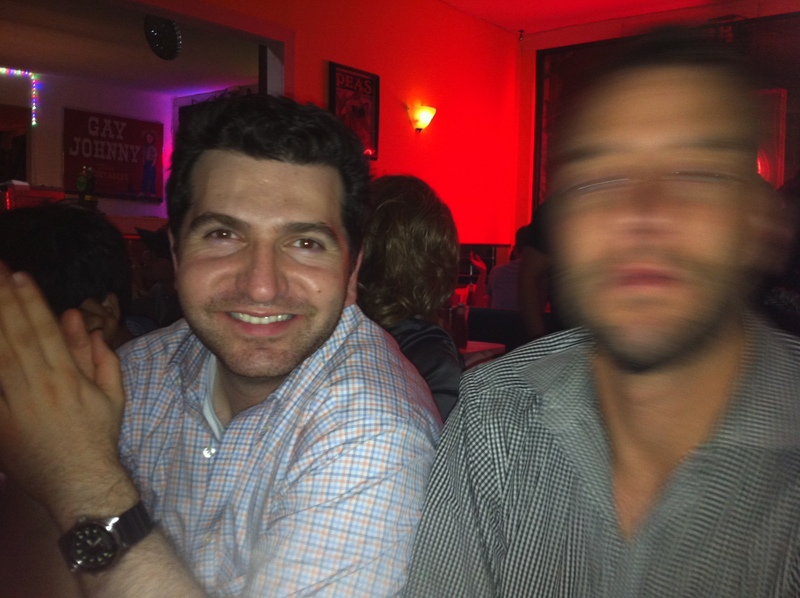 This is one of my new favorite blog posts, if only for the picture of Raphael looking sharp sitting next to somebody (Patrick?) clearly communing with spirits. Great job, Ward! Agreed Diana – great post… but how does one even get a picture to look like that? 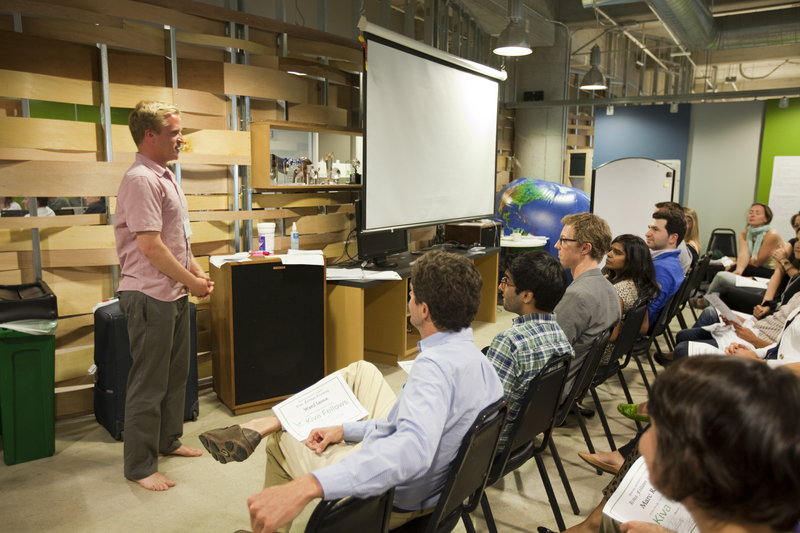 I think my favourite pic above is Kiva co-founder Matt giving our convocation speech without shoes on… if only to try to explain KF18 training week at Kiva to people.